Our students are prepared to follow their chosen path when they graduate. We have a 100% graduation rate and a 98% college readiness rate. 85% of our graduates receive merit scholarships to colleges and universities. 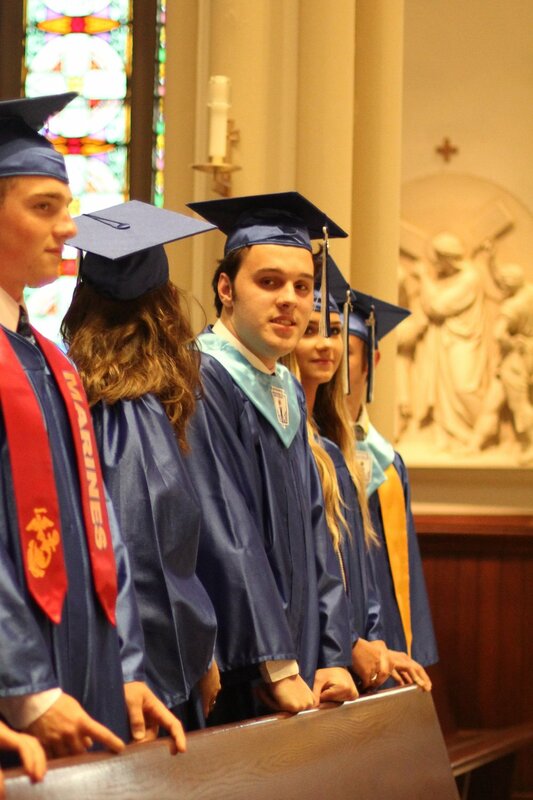 All of our graduates attend 2 year & 4 year public and private colleges and universities, enter all military branches and serve with missionary groups. Every year our students out-perform students in surrounding school districts on the SAT, ACT and Regents exams. Tyburn students have been recipients of National Merit Scholarships, Regents Scholarships, Knights of Columbus Scholarships and numerous local scholarships. Each year colleges and universities offer our rising seniors and graduates merit scholarships. Area colleges that continually offer our students these type of scholarships are LeMoyne College, Hobart/William Smith College & Elmira College. Our students have received partial tuition scholarships and full tuition scholarships.